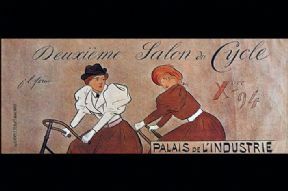 Vintage French poster - Deuxieme Salon du Cycle. Poster design for Deuxieme Salon du Cycle. Poster design for Deuxieme Salon du Cycle, an annual cycle show which still takes place in Paris. 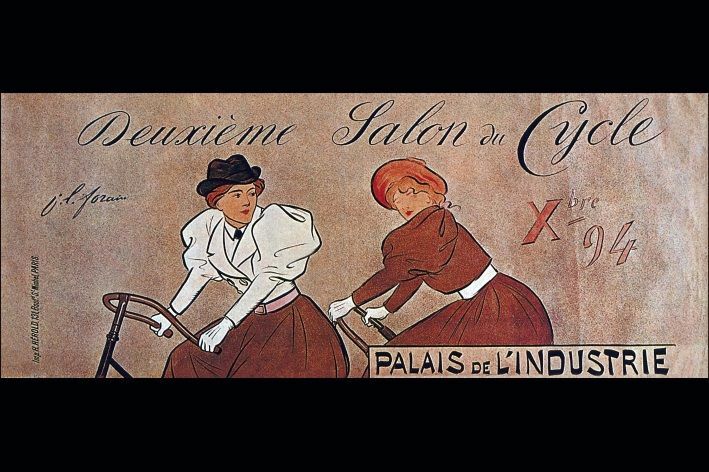 Showing two women riding bicycles.. Poster design by J L Forain. 1889.